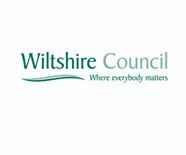 To ensure Wiltshire Council’s community engagement managers continue to support and empower local communities, while recognising ongoing budget pressures, the team has recently undergone a restructure. The new team is currently going through a handover period and will officially start in their new areas on Monday 4 March 2019. They are all looking forward to starting and are already beginning to introduce themselves to their new contacts. The team will continue to work closely with the local area boards to bring local decision making into the heart of the community and discuss issues that are important to local residents. They will also continue to support the award of grants to community groups, a scheme which has seen so many success stories over the years. If you have any questions please do not hesitate to contact Rhys Schell, Communities Specialist Manager Engagement and Governance on 01225 716752 or mailto:rhys.schell@wiltshire.gov.uk.